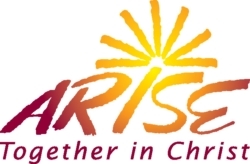 The training sessions for Arise Together in Christ, an adult faith formation program based on Renew, begins this month. We are very excited about the program, which has been designed for our archdiocese and is the centerpiece of our bicentennial celebration. I am so grateful to Bishop John Dooher and Marianne McLaughlin from the Office of Worship and Spiritual Life who are our local point persons for this program. 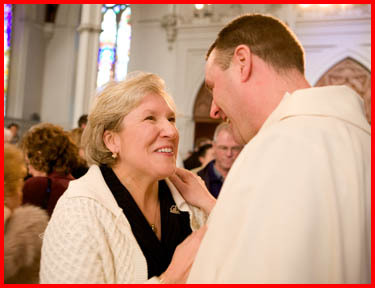 The majority of parishes have already signed up for the program, but anyone can join at anytime. We are looking forward to the great fruits that this is going to bring, not only in our parishes but in campus ministry where it is also being implemented. 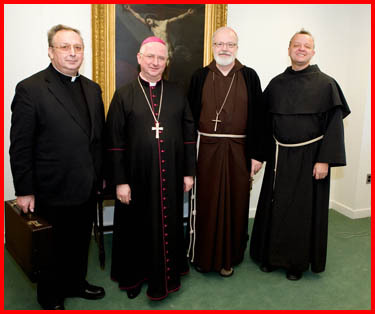 Last week we had a visit from Bishop Wladyslaw Blin, the bishop of Vitebsk in Belarus. He shared with me the news that, at his request, the Holy Father had named Father Stanislaw Parfienczyk a Monsignor, following his appointment as canon of the cathedral in Belarus. Msgr. 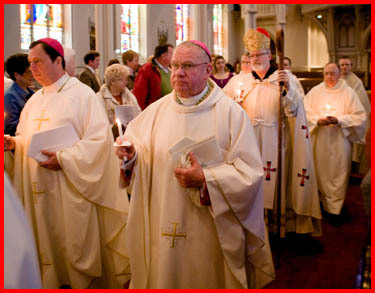 Parfienczyk is currently a pastor at St. John the Baptist parish in Salem. Bishop Blin came accompanied by Msgr. 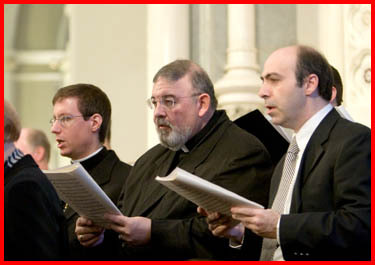 Parfienczyk and by Father Jerzy Auguscik, a Franciscan from the Polish church Our Lady of Czestochowa Parish in South Boston, who helped translate for us because the bishop did not speak English. In the United States, we do not have cathedral canons; we have the College of Consultors. 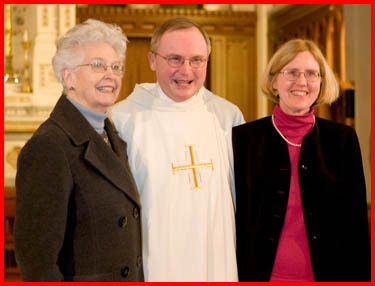 One of the roles of the cathedral canons is to choose a temporary administrator of the diocese when the ordinary bishop leaves for another diocese or resigns. 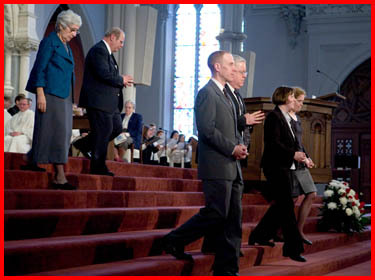 They also have liturgical responsibilities like praying the Divine Office when they are in the cathedral. It is a great honor for Msgr. Parfienczyk, and we are very happy for him. Bishop Blin was a very outgoing man. He shared with us a lot of pictures of his diocese and told us about how much growth there has been in the Church since the fall of the Iron Curtain. 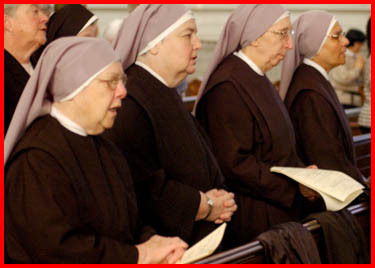 They have had a great increase in vocations as well. 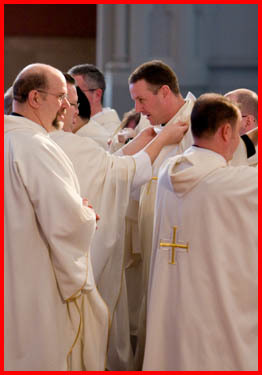 On Saturday, we had the transitional diaconate ordination of six men. It was a beautiful celebration at the Cathedral of the Holy Cross. We were very pleased to see the numbers that turned out, and the musical program was very uplifting. 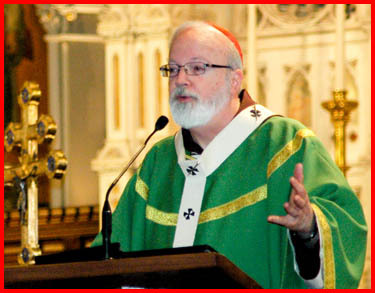 Another man, Deacon Joseph Arsenault, is also in his fourth year of theology. 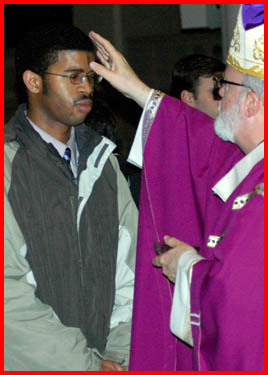 He was ordained a permanent deacon in 1988, though I jokingly call him an “impermanent” deacon because he is now going to be ordained a priest. 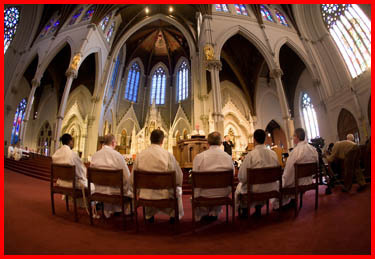 So, God willing, in May these seven men will be named priests for the Archdiocese of Boston. 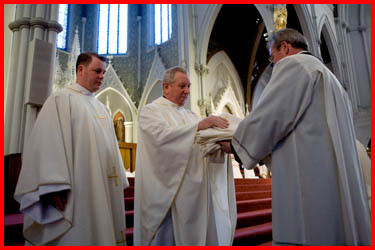 Coming as it did the day after Father Daniel Kennedy’s funeral Mass, the ordination was a very striking sign of how the priesthood renews itself. 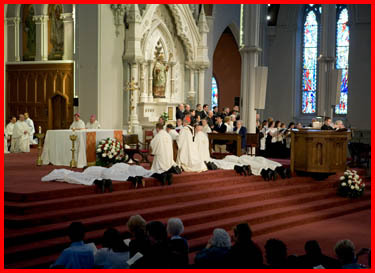 That week we not only buried one of the newest priests in the archdiocese, ordained last year, but also Father J. Walter Stocklosa who was Boston’s longest ordained priest and the last surviving member of the class of 1940. In my homily, I recalled how at the end of Graham Greene’s wonderful book “The Power and the Glory” the people of the Mexican province are mourning the death of their last priest. The priest, who had been in hiding and serving the people secretly, had been executed. A group of the people are gathered in a house when a knock comes at the door, and at the door is another priest. I mentioned that Graham Greene never gives the priests names to show that their deepest identity is in the priesthood of Jesus Christ, not in their personalities or who they were. Later that afternoon I had a Mass at St. Michael Parish in North Andover, which is a very large parish with more than 500 students enrolled in the school and 2,000 children in the religious education program. They have many programs in that parish, and the priests are extraordinarily active. It was a joy to be able to celebrate the liturgy with the parish community and to visit their Mardi Gras celebration in the hall afterwards. 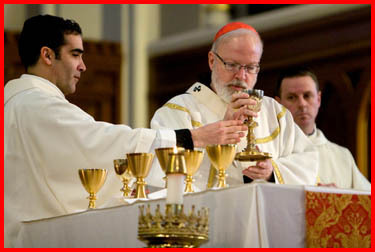 On Sunday, we celebrated Mass to mark World Day for Consecrated Life at the Cathedral. 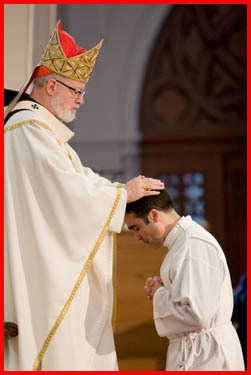 I was very gratified by the large numbers of priests, brothers, sisters, consecrated virgins and hermits of the Archdiocese of Boston who were there to be a part of the celebration. 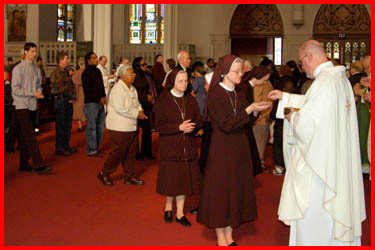 John Paul II established the Feast of the Presentation as the day to recognize consecrated life. Just as the Holy Family presents and consecrates their first born son to the Lord in the Temple, we celebrate the consecration of our religious, consecrated virgins and hermits in the Church. 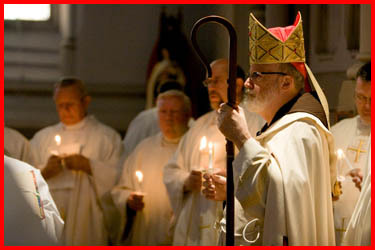 The diocesan celebration also marks the Bicentennial’s celebration of consecrated life this month. Because of the ordination, we celebrated World Day for Consecrated Life on Feb. 3 instead of Feb. 2 here in the archdiocese. In today’s culture, happiness is seen as a commodity that is associated with money, power and pleasure. Strangely enough some of the people who have the most money, the most paramours, the most power and prestige are often the most disillusioned and unhappy individuals. Religious life with the evangelical councils attack the human heart where we tend to be most selfish in the areas of possession, sexuality and power. 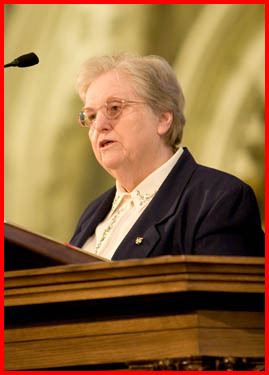 Two of the great challenges that face us as the Catholic Community are to instill in our people a sense of personal vocation — God is calling each one by name to embrace a personal vocation to holiness, to friendship with the Lord and to a particular way of life — marriage, consecrated life, orders or the single state. At the same time we are also called to be a part of a common mission that Jesus entrusted to us His followers, to build a civilization of love, to make the values of the Kingdom more visible. Religious life points people in that direction. 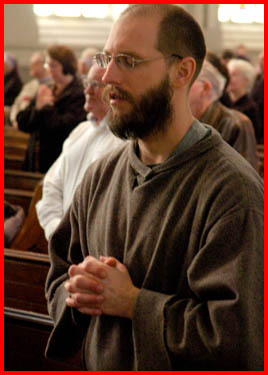 The extreme individualism of our culture and the near pathological fear of commitment make it difficult for young Catholics to embrace a life of radical discipleship although they are fascinated by God and the spiritual life. As we are celebrating our bicentennial year we are reminded that 200 years ago the entire Catholic population would have fit in this Church. We have grown from a handful of faithful served by two refugee priests fleeing the French Revolution to a Church of 2 million Catholics with so many strong faith communities. 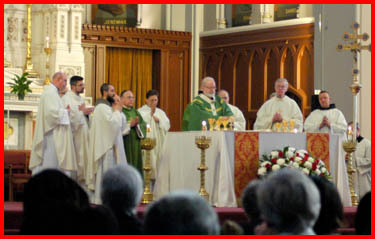 During these 200 years the contributions of the religious communities in opening schools, universities, hospitals, nursing homes, orphanages, and countless specialized ministries and works of mercy and evangelization, making the merciful face of Christ present to the poor, immigrants, prisoners, unwed mothers, handicapped, the mentally ill. There is no area of the life of the Church that has not been enhanced and enriched by the work and witness of our consecrated religious. 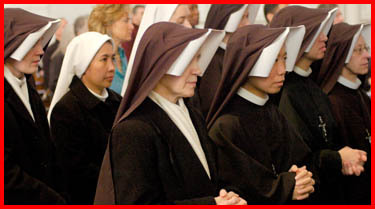 Since the Second Vatican Council, many lay people have taken on new roles of leadership in the Church, but the witness of the consecrated life is still an essential part of the Church’s life and must be safeguarded and promoted in the future. 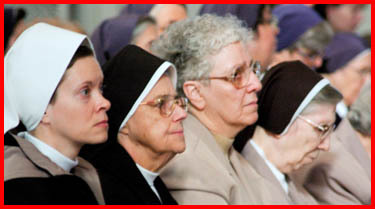 We are blessed by the presence of five contemplative communities of nuns and many Sisters from active communities that have no longer the health for the kind of service rendered in the past but have become spiritual contemplatives whose prayer life and witness of fidelity are a source of strength and energy for the whole Church. At the end of His public ministry, Jesus even as He bids us farewell He is assuring us of His abiding presence. 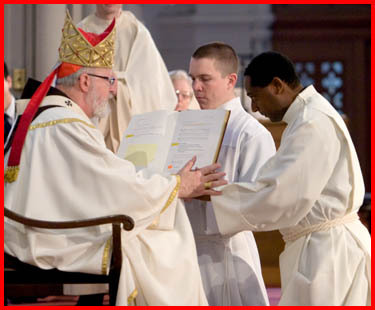 At that moment He gives us a New Commandment and the gift of the Eucharist. That new commandment is that we love one another—Our love for the fellow religious, for the Church — our leaders, our priests, and our laity. 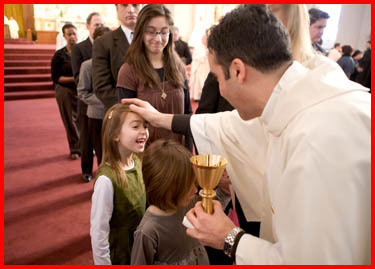 We must love the same things — Christ, Mary, the Eucharist, the Holy Father, the priesthood, the consecrated life, the Church’s piety and traditions, the Gospel of Life and the Gospel of Social Justice, the Church’s moral and ethical teaching — all premised on our human dignity and our eternal destiny. Religious must help build up the unity of the Church by loving the Church that we see as the Bride of Christ who is always the Bridegroom never the Widower…. Know how much the Church loves you, how much Christ loves you. 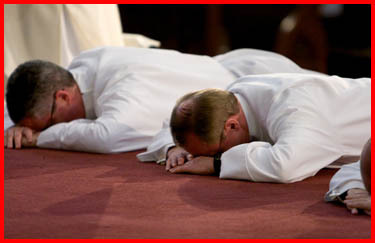 Thank you for saying yes to a vocation—for saying yes to love, life, God and the Church. May our God reward you with happiness in this life and with the eternal Beatitude Christ promises to faithful disciples. 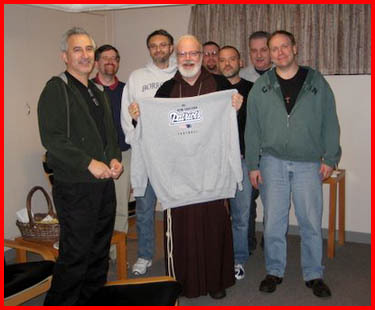 That evening, I went to San Lorenzo friary with my brother Capuchins to watch the Super Bowl. Of course, I took my Patriot’s shirt with me. Some of the seminarians residing at St. Lorenzo are from New York, so it was a very interesting evening because there was quite a bit of back-and-forth about the different rivalries of the teams. It was an exciting game, especially because it was so close. They all played well. I know that there was great disappointment in Boston, but 18 wins is something that the Patriots can be very proud of. Hopefully, next year they will go right to the top again. I never watch television so it was interesting to see the Super Bowl commercials that are supposed to be so stunning. After watching them, all I can say is that it seemed a bit silly that they spend so much money putting on those ads. 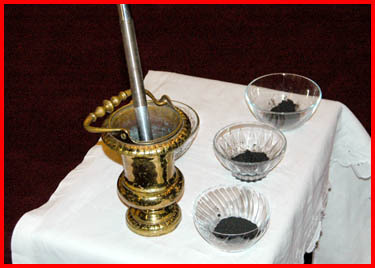 I celebrated Ash Wednesday with a Mass at the Cathedral of the Holy Cross. I was accompanied by Archbishop Jamie Pedro Gonçalves of Beira, Mozambique at the celebration. 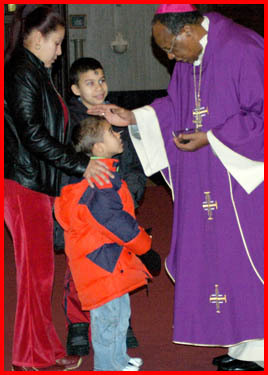 The Community of Sant’Egidio invited Archbishop Gonçalves to the United States in celebration of their 40th anniversary. He spoke at Harvard Feb. 5 and at Boston College two days later. 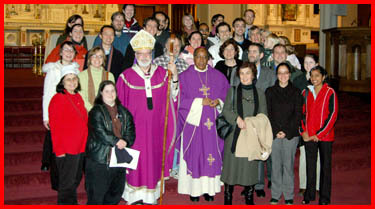 Sant’Egidio is a lay ecclesial community founded in Rome which now has 60,000 lay people involved. 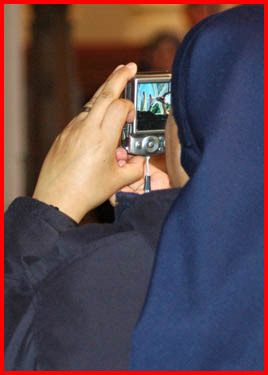 Members try to lead a life of spirituality and service to the poor and promoting the Church’s agenda on social justice. They were very instrumental in establishing peace in Mozambique that had been wracked by many years of a violent and bloody civil war. I spoke with members of Sant’Egidio, and they told me that when they came to the United States after the peace was established in Mozambique, the people in our State Department were cynical. They did not believe the peace would last, yet, 15 years later the peace is still holding. Archbishop Gonçalves was directly involved in his country’s peace talks and was imprisoned twice during the war. He worked very closely with the Sant’Egidio community and is now part of their bishops’ association, which gathers with the community annually. One of the community’s most recent successes was the gathering of over one million signatures from all over the world requesting that the United Nations pass resolutions against the death penalty. 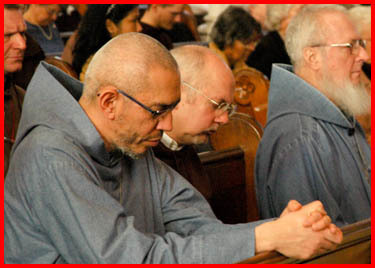 Each November, they have a day of prayer for the abolition of the death penalty which, of course, is part of our gospel of life. We had Sant’Egidio’s president, Marco Impagliazzo, here to speak at BC last October. I was very glad to see that so many of the students came because I am anxious for them to learn about the different ecclesial movements in the Church and to see the energy, spirituality and sense of mission those communities have. There are a number of members of Sant’Egidio here in the archdiocese. They are very active in serving the elderly and the poor and one young man is working with Iraqi refugees. It is a great blessing for us to have them here, and I was very pleased that they came to the Ash Wednesday Mass at the cathedral. A group from Pax Christi was also able to attend that Mass. They asked people to join them in prayer for peace and particularly the end of the war in Iraq where there is so much suffering. 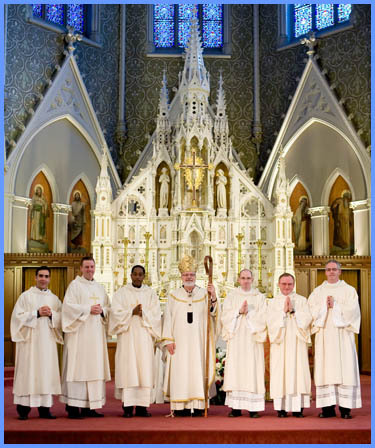 Finally, for my photo of the week, I have selected this group photo with our newly ordained deacons. 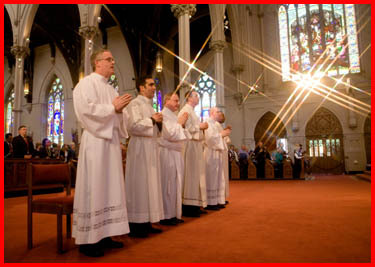 Let us pray for all of them and Deacon Arsenault as they continue their journey towards priesthood.